Release: Project Reality v0.8 Released! The award winning Project Reality Mod and Black Sand Studios are proud to announce the official release of Project Reality v0.8! Following the last release of Project Reality (v0.75), we have been continuously working to improve multiple aspects of game-play and resolve bugs. Thanks to the continued support from you, the community, and our dedicated team of testers, we have successfully corrected many of the bugs in v0.75 and added several new features and tweaks. Initially, the Project Reality v0.8 file downloads are being provided as an exclusive early release from FilePlanet.com. Tomorrow we will be releasing the client files across multiple other community sites. 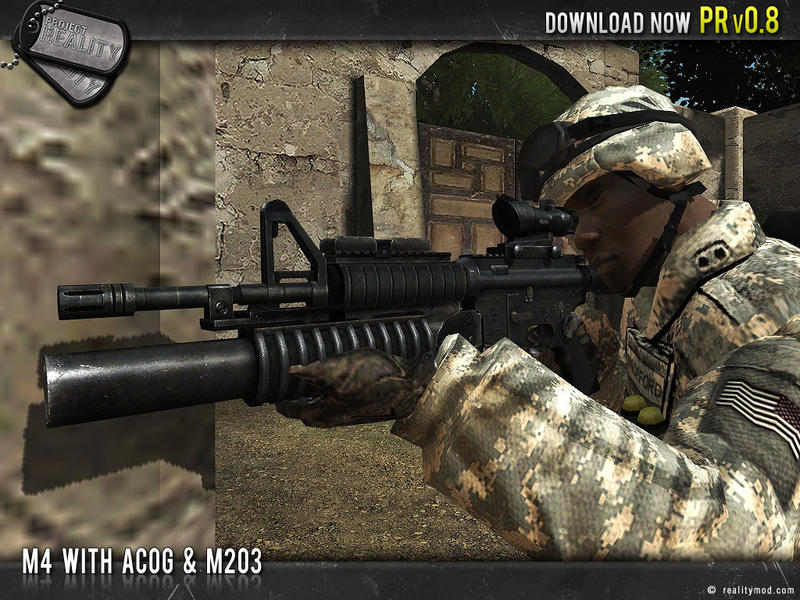 Please note that due to the size of the mod, we have split the download into 2 parts, the core and the levels. You will need to download and install both to run the mod. 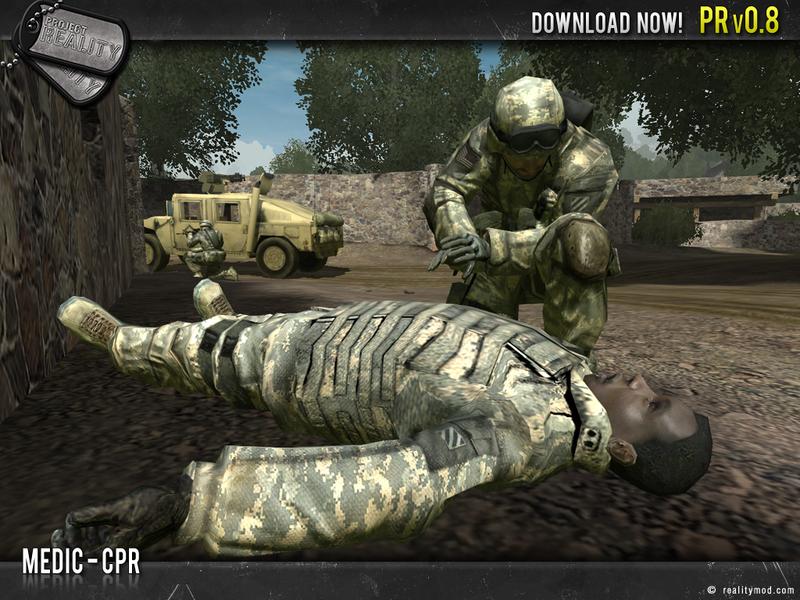 To download Project Reality Reality v0.8, click the banner image below. What first person shooter release would be complete without an array of new handheld toys and weapons to play with. Along with the long overdue overhaul of the grenade launcher systems, the MEC faction has recieved a healthy injection of new small arms and AT systems to further diversify the MEC as a fighting force. 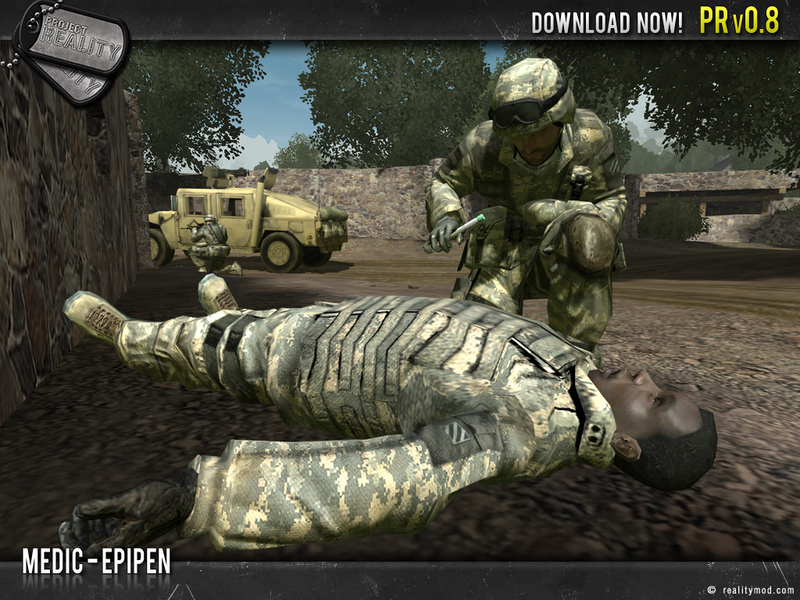 Speaking of injections, the new equipment the medics will be recieving includes an adrenaline injector to replace the defibrillators as well as other tools to help them forfill their battlefield roles. 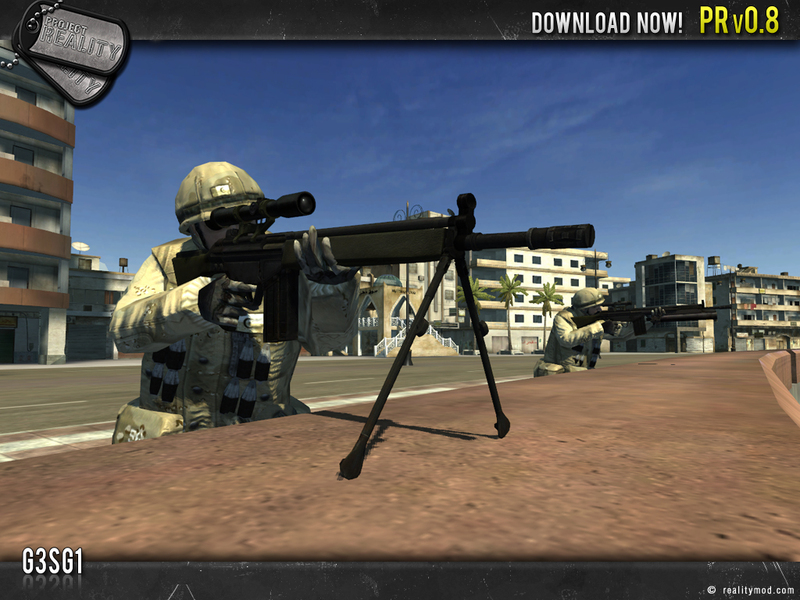 The militia and insurgents by no means recieve a ton of new instruments and arms to further their causes. 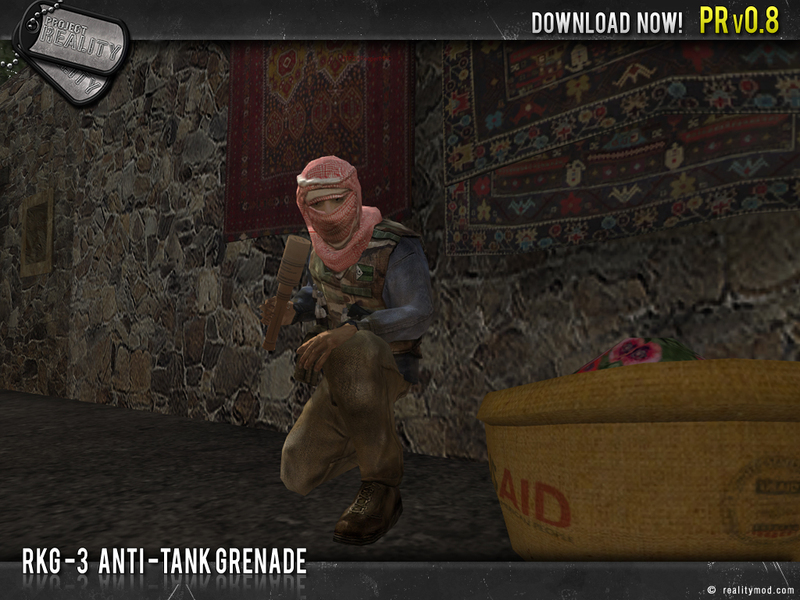 From molotovs to cell phones, anti tank grenades to two World War 2 era rifles, both factions are better equipped to fight their aggressors. Many thanks to the Battlefield Korea and Forgotten Hope 2 teams for allowing us the use of their SKS rifle and No.4 SMLE rifles, of which we have adapted for use in Project Reality. 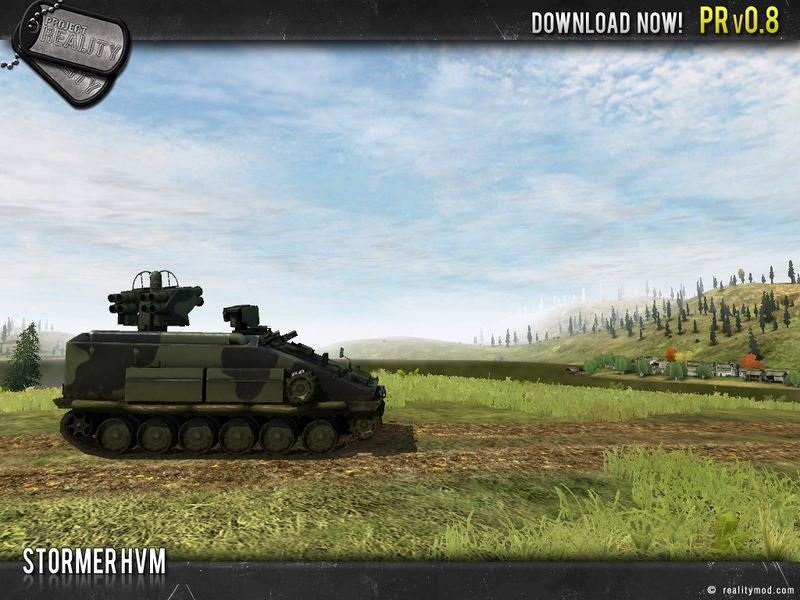 With the addition of a new faction, comes new vehicles to compliment its infantry arsenel. 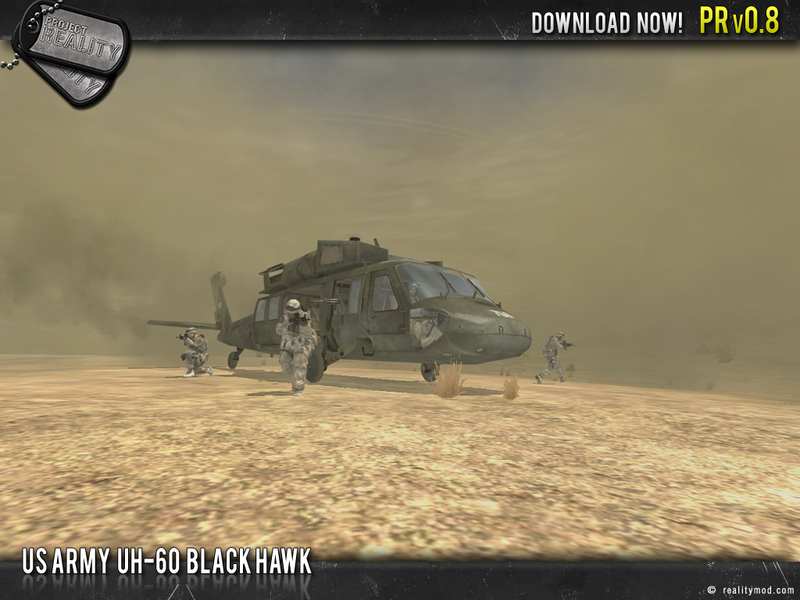 We bring to you the heavy assets of the US Army, as well as a few other pieces of mobile equipment to bolster the other factions. Commanders in this new version while encouraged to remain away from the heat of battle, are given much more efficient tools to do their job with. As well as a couple new toys to ensure the enemy remains on their toes! 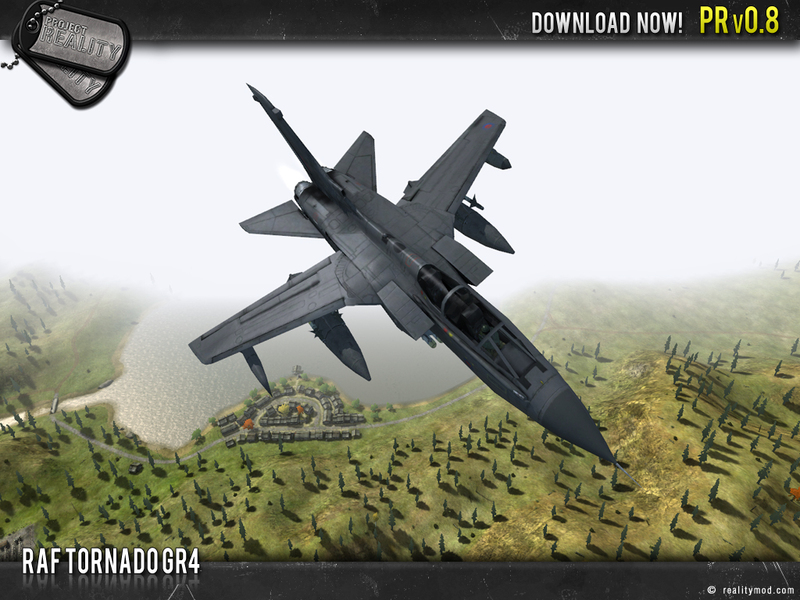 Commanders now have a proper means to allow their team to defend their forward positions, as well as holding strong points in a fearsome manner with the addition of heavy machine guns on a stationary platform. The Insurgents also have expanded their capabilities for operations with the addition of deployable hideouts, which work in a similar fashion to that of conventional army forward outposts. Along with Project Reality's own Insurgency and Counterattack modes, we bring to you more ways to get the most out of the already outstanding maps included in this release. In this third installment of Advance And Secure, we include random control points. Inspired by the Insurgency game mode, the addition of randomness to a game mode provides great replayablity with different set of objectives each time you play. Of course, it won't be as random as Insurgency, but still adds different takes on several maps. This new game mode features large freeform battles. There are no CP’s except for the operations bases. The enemy base can be attacked once all 4 forward outposts have been constructed. Combat can take place at any part of the map as the teams try to advance closer towards the enemy base and fortify vital positions along the way. 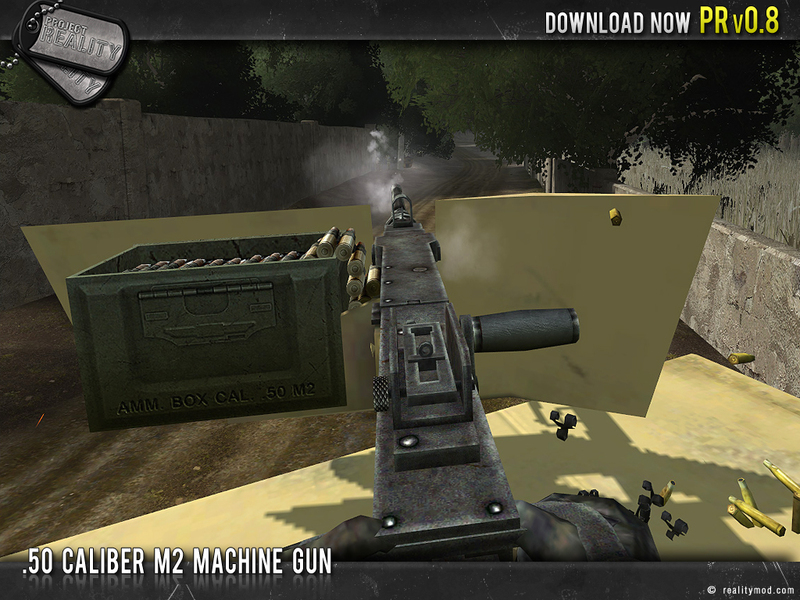 This game mode is a scaled down version of Advance and Secure, intended for fewer players. 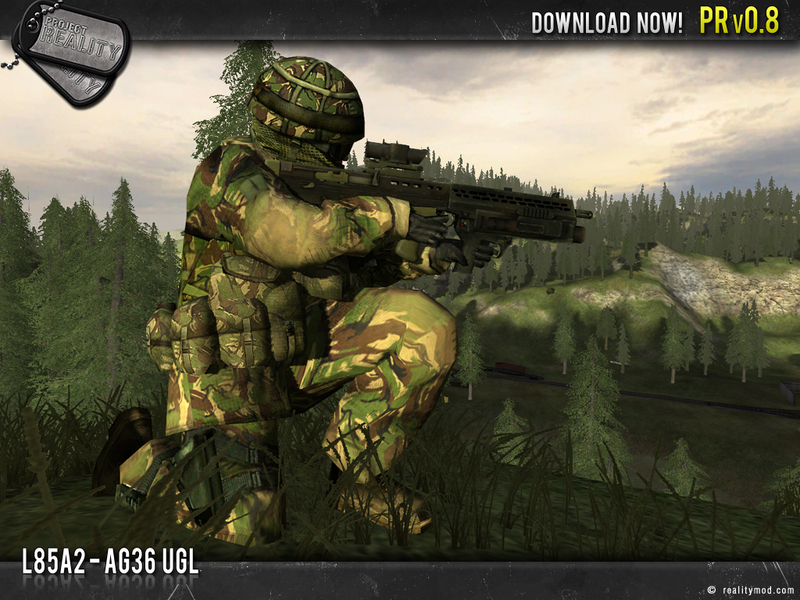 It is perfect for clan matches and small infantry engagements. Skirmish has the same rules as AAS but with smaller combat zones, fewer CPs, no vehicles or deployable assets as well as fewer tickets. 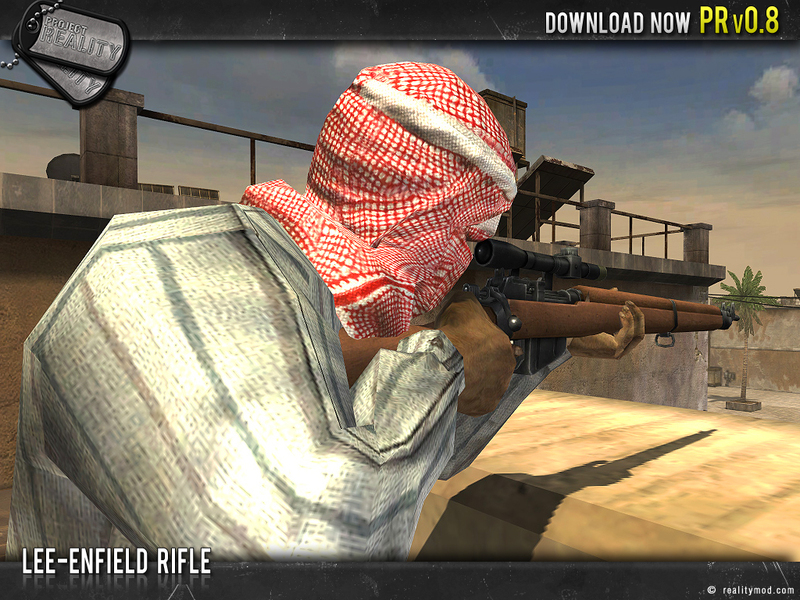 This game mode is mainly for training with different equipment and vehicles. Friendly fire is off. Spawning is very fast, and vehicles are abundant. Tickets are unlimited in this mode. At long last we have moved out of an animation drought, and in this release we are proud to bring to Project Reality, all new animations for every single weapon and piece of equipment in the game! And to match, sounds to accompany these new animations and weapon fire sounds to achieve an immersive experience unmatched by any other first person shooter. Last edited by CodeRedFox; 2009-02-06 at 18:22..
Re: Project Reality v0.8 Realased! Location: From the UK ... living in Taiwan. Rhino fix ya spelling! e.g. released! Thanks man, appreciate the effort into getting this around! Re: Project Reality v0.8 Released! Epic win! DLing now, thanks. Looking forward to this, and I'm not gonna moan about anything I don't like for at least a month unlike last time when I was moaning within half a day of release. Thanks in advance for all your hard work devs. "Coalition Factions on Insurgency maps - Zipties"
The end of knifing civilians (sorry collaborators) in the face? Guys, bitching about FP or calling Devs sellouts or saying we got paid to give them a 24 hour exclusive will carry some pretty heavy penalties. Don't do it.